I'm sorry for this long article, but i really wanna share all my feelings out. People often say that having acne is no big deal, but that’s far from true. I hate my face so much, constantly having pimples, and with all the acne scars that I have on my face doesn't make me any better. Everyday is a torture for me to wake up, knowing I have to face a long day ahead with that ugly face of mine. I'm dying inside. It's like a curse sometimes, I feel like I cannot go on in society because I am constantly being judged and looked at. Acne really ruined my life these years. Nobody knows. My skin looks just fine under my makeup + soft skin mode. Who knows what hide under all these stuff? I don't wanna hide things. Okay, I'm not afraid to show you. Do you know how serious is my skin before this? Everyday looking at the mirror with super terrible skin condition. All i want is just a "Normal skin".. but it seems hard to me. 不好意思又要折磨你们的眼睛了。就算到今时今日的我看到这些照片还是会毛骨悚然，好害怕，觉得好恶心。有朋友问我，为什么那么变态，脸那么烂了还敢拍照还敢post。我说，我要拍来做纪念，警惕自己的。Post就post咯，有什么好怕的，事实是这样，怎么掩饰也掩饰不了的,对吗？哈哈哈。死就死啦，I have nothing to lose. I had these problem since i was 19/20 years old, initially it begin with 2-3 innocent pimples that refuses to go away and then the others start popping up like nobody business. FML, I've suffered this for more than years. Yes, it's killing me every time whenever i look at myself. 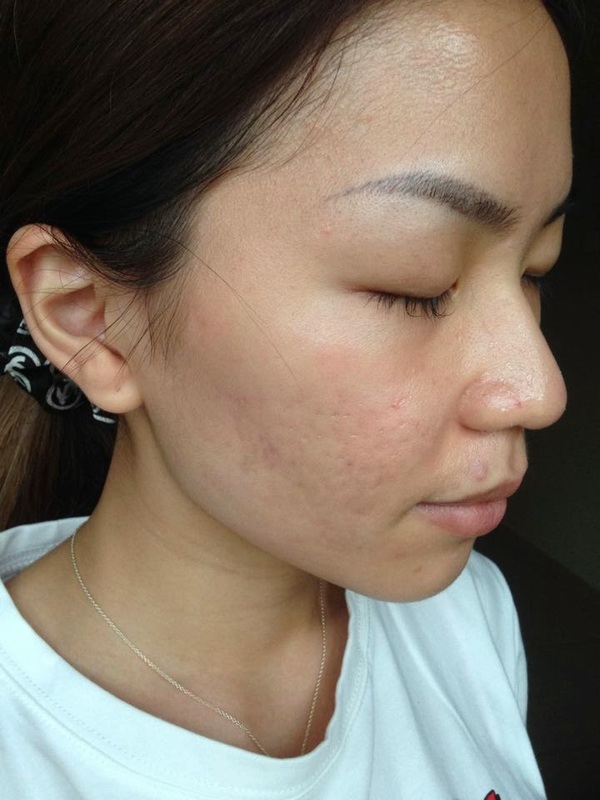 I take Roaccutane for more than 1 year to fully control the breakout. I just stopped this February. So far, there's no more breakout on my skin. Just that annoying acne scars and some redness left. My skin gets really red during the hot weather, it's really sensitive. I always wanted to get rid of these scarring. I tried so many products bla bla bla ever since the acne stopped. Nothing worked. So i went for Skin Laser this time! A topical anaesthesia(numb cream) on treated area for 30 minutes. Numbing cream helped to bring down the pain during the laser treatment.Totally can't feel my face anymore after remove the numbing cream. It's NUMB! really NUMB…Hahaha. 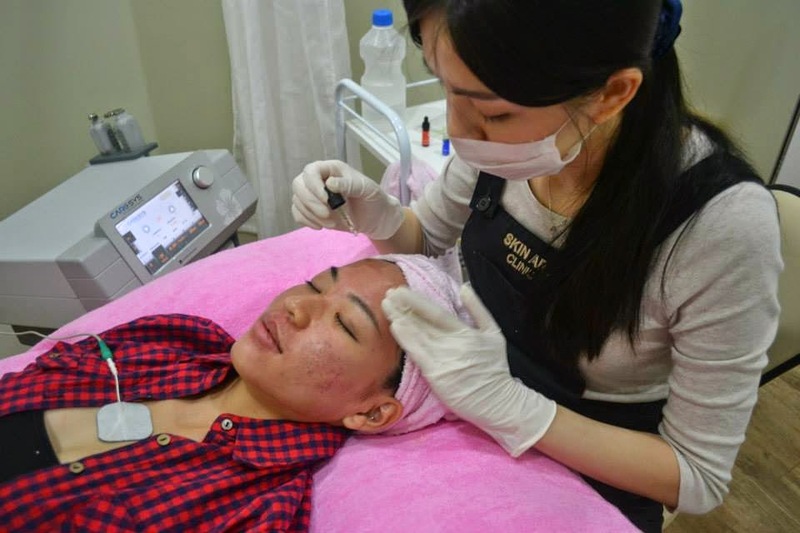 Skinartësse Smooth Laser is a non-invasive treatment that uses light energy to gently stimulate natural collagen growth, improve pores, remove irregular pigmentation and reduce fine lines and wrinkles. Collagen provides the support network to our skin. The laser works by stimulating collagen production. 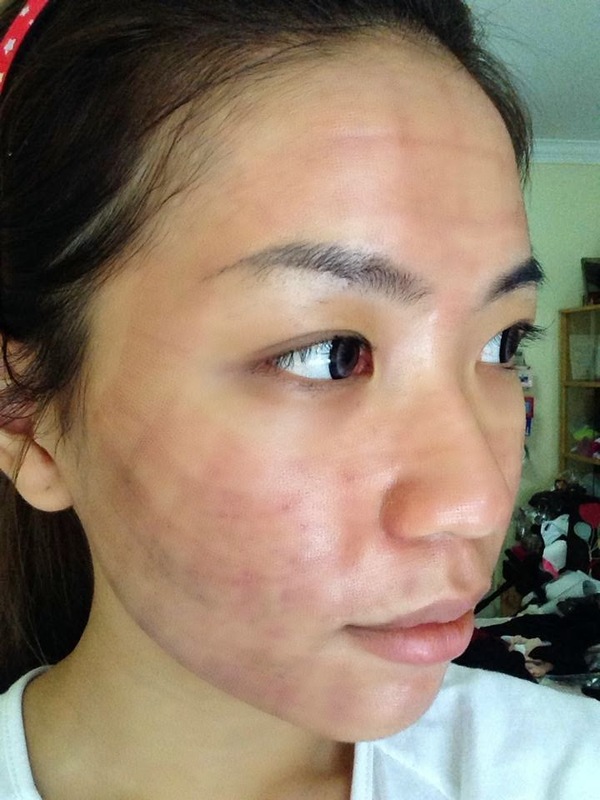 As the new collagen is generated, lines and scars are decreased. 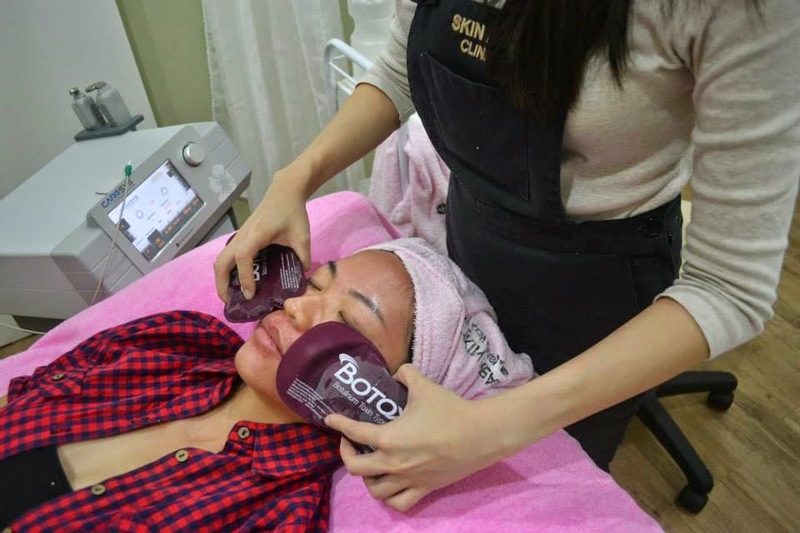 This procedure can helps to refreshed appearance, smoother skin texture, an even skin tone, and a decrease in pore size. 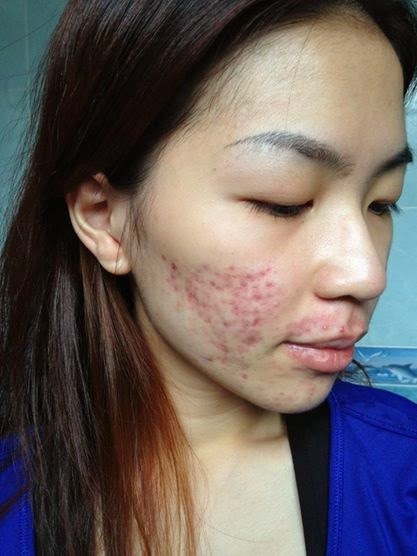 Those with difficult acne scarring can also have improvement after treatment. This laser does not affect the outer layers of skin, so there is no downtime or prolonged healing process at all. The skin is thoroughly cleansed, and laser-protective goggles are placed over the eyes. An invisible laser beam is directed at the face, which heats up the deeper layers of the dermis to stimulate collagen production. The treatment takes around 45 minutes including the numbing process, faster than i expected. Surprisingly, it's not really painful cause i've applied the numbing cream earlier, can only listen to the "ting ting" sound of the machine & some heaty feeling after the laser. It's not really painful for me. 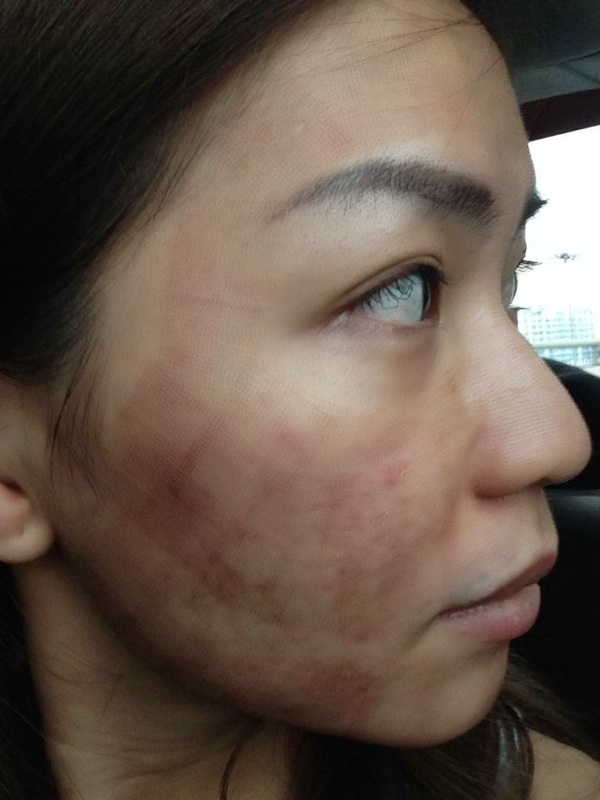 Here's a photo of my skin on the 2nd day after LASER treatment. It's like sunburn. There's a lot of micro dot, It's white color on the 1-3 days. It will turn brown and drop off naturally after 2-3 days. 3rd day, The redness started to fade away. Normally the redness will fade away in 3-7 days. I can apply my makeup on the 5th day after the dead skin peeling off. Doctor said there's no specific care is needed after treatment, just avoid sun and some skin products for a period of time after the treatment. Last but not least, my current skin condition! Taken with my iPhone5,no filter at all. I can feel the different even though it's just my first treatment. My skin has even out a bit, can't wait for my next sessions. Thanks to Dr.Rachel. I wish everyone out there can find your remedy too. Acne and pimple scars are the hardest to cure. So please, stop buying products that cost you a lot of money. Before that, get a doctor for consultation. Instagram: skinartclinic or contact them at +6 019-6211399 for enquiries. Alright, Will keep you guys updates about my skin! Thanks for reading! Stay tuned for my next updates. Keep the positive onward towards the healthiest skin condition! You are wasting a lot of money. The toxic and bacteria in your body is trying to detoxify itself. Go for fresh green apple juice, plus, carrot and tomato juice. Take it daily and your skin will clear by itself. The healing comes from inside, not from outside. The beauty center just want to make your money by charging you hundreds. I have faced this common problem. After taking fresh green apple juice, plus carrot and tomato juice, all the acne disappear. By skin smoothness and skin elasticity increases dramatically. You can add pineapple juice & orange juice as well. The key is freshness and natural. Not bottle juice. Antioxidant remains active when these fruits are fresh. Hi karen. 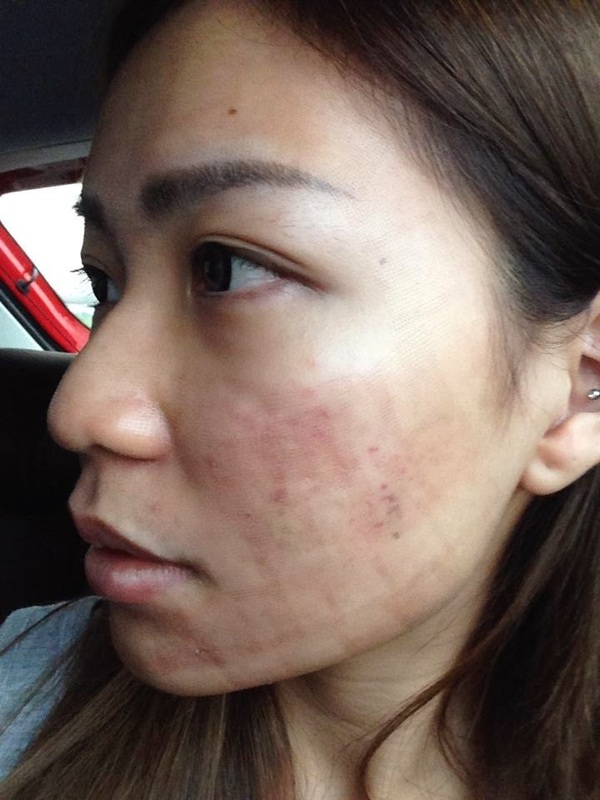 I never write blogs until I saw your acne condition. I'm admired with your determination and persistence including your gym workout. I have once faced the same situation as you. 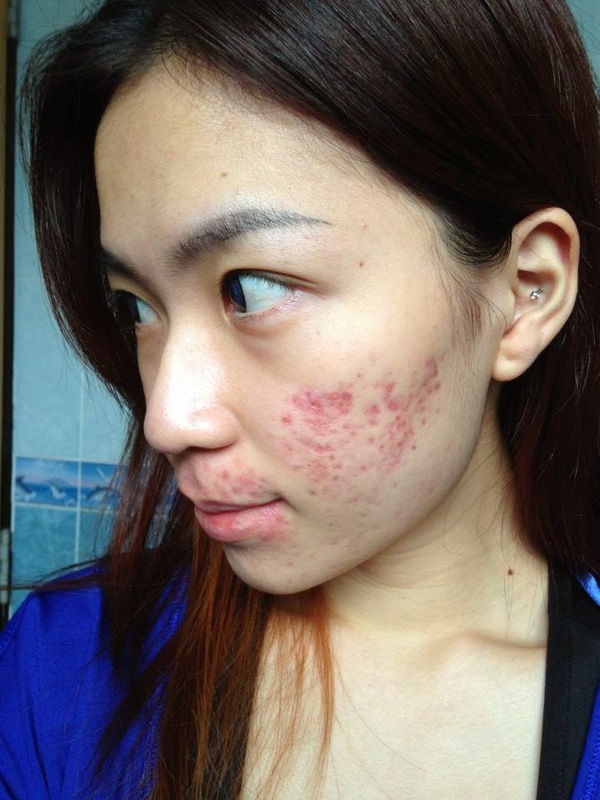 Actually the acne condition comes from internal body, which stands 70% of our skin healthiness. Due to the daily food intake which is polluted, plus high acidity in your body thus producing toxics which leads to high production of acne vulgaris, which is reddish in colour. What I've done to heal up my acne and scars is the intake of organic food, which consists of 28 types of fruits and vegetables. This product is free from pollution and alkaline, which reduces the acidity of your body and detoxify your internal colon. Now my face is free from acne and owns a better skin complexion. 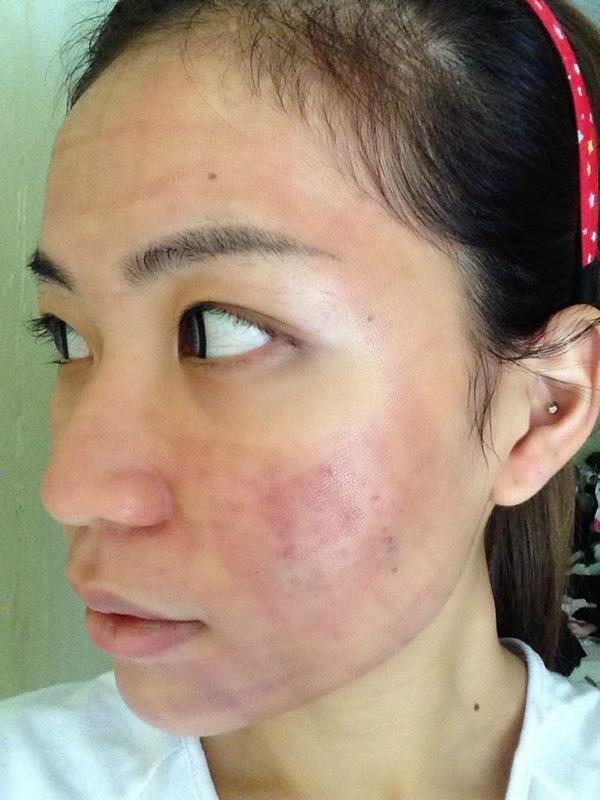 Within a matter of 2-3 months i transformed my skin condition. No side effects will happen as this is natural food consisting of vege and fruits. 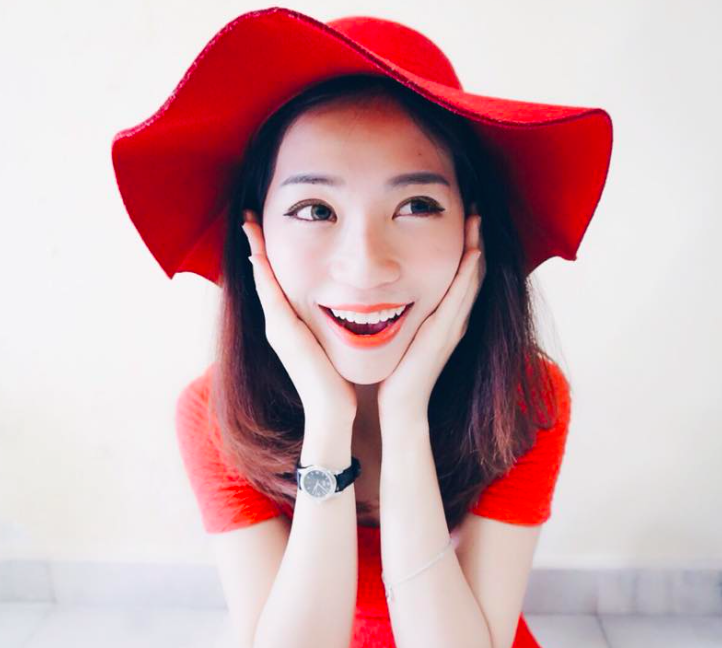 Besides, it fix our internal body without having the needs to apply harsh skin care products to fix the skin acne, which is very safe and effective. Instead, lots of Taiwanese nowadays practice food therapy to cure skin disease and even cancer. 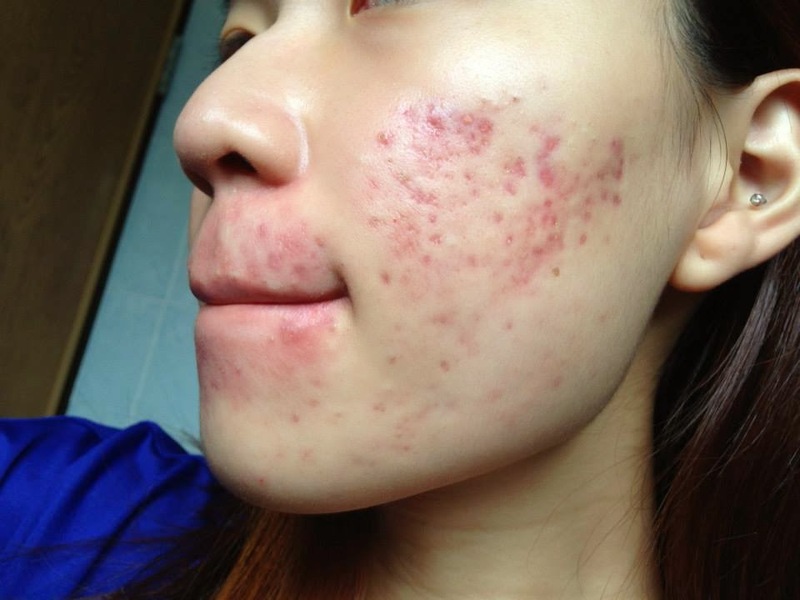 So, I sincerely hope to have the chance to help you as I understand the feeling of having serious acne on face which lowers down our mental and physical strength. Hope to hear from you soon and have the chance to help you transform your life. My email is ivanho6823@gmail.com. Thx so much:-) may I know the price for your laser treatment? What medicine you mention about? I just couldn't go away your site before suggesting that I really enjoyed the standard information an individual supply on your visitors? Hi Karen.. have you ever consider laser at Dr Ting's since you are seeing him before this? Is his laser ok? I never tried Dr.Ting laser before. Not sure about that. Good to see how your face condition has improved! Hi Karen, is this fractional CO2 laser? I believe Dr.Rachel has changed the name to customize the treatment she offered. Cause I've done fractional CO2 long time ago and I saw the pics you posted after the laser and it's similar to what I've experienced last time. I've done 6 sessions in a much lower price but of course it's without any followed up treatment, all I did was to use hydrating mask at home. Face appeared to be smoother after 6 sessions but i actually dont see much improvement on deep scars. Kindly advice if you know what exactly treatment is this and i might consider going back to this with Dr. Rachel. Thanks alot! Hi Karen..i have seen your instagram photo. On the fourth picture, how many months you took to recover with completely no active acne by taking the accutane pills? Now i've stopped taking roaccutane for more than months, so far there's no more breakout. Hi, after how many days u take the last pics since ur 1st treatment? Is it must go thru 5~6 session? It depends on your skin condition. I have same problem, It bother me every single day. Hi pretty .. May I know RM1500 one session for how many Times of the treatment ? after how many months only you do the laser? cox i heard accutane patient need to rest about 6 months and this long period is killing me anyway. I do it 1-2 months once. Can i ask what kind of skin care product you using now? I'm using a few different brands now. so the photos in the blue shirt are taken right after you finish roaccutane? and that was the condition of your face before going into your FIRST treatment?....because if that is, WOW. huge improvement im happy for you!!! Karen how many laser you have did for recover all the scar ? Karen how many laser you have did for recover all scar? I have did my laser last month but no see have effect & now my skin still have the black tune . Why ? The cost is RM 2000 now btw. Purely on laser treatment. If we take package for 6 sessions that would be only RM 6000 .